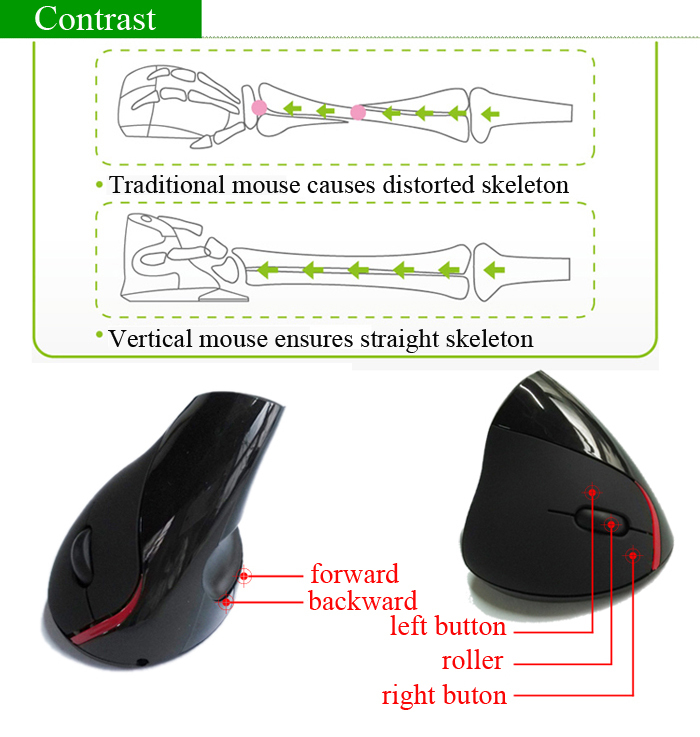 Are you being bored with the wrist pains, finger pains or elbow rigidities for long time holding and clicking the mouse, now you don't need to worry that again with this 2.4GHz Wireless Optimal Tracking Vertical Mouse.The ergonomic vertical pattern and professional arch element as well as the humanized left side buttons design are fully based on the most natural posture which can maximumly relax your hands while performing long time gaming or working. 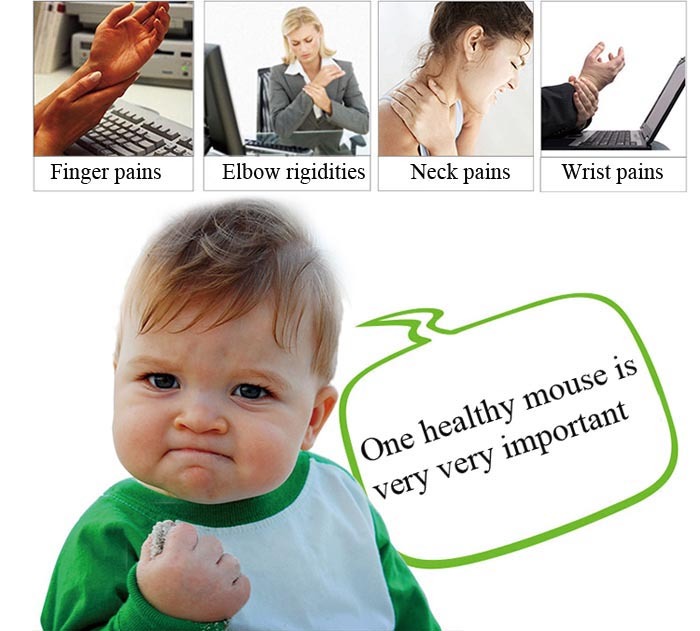 Built in USB rechargeable battery makes you free of the annoy with frequent battery changing. 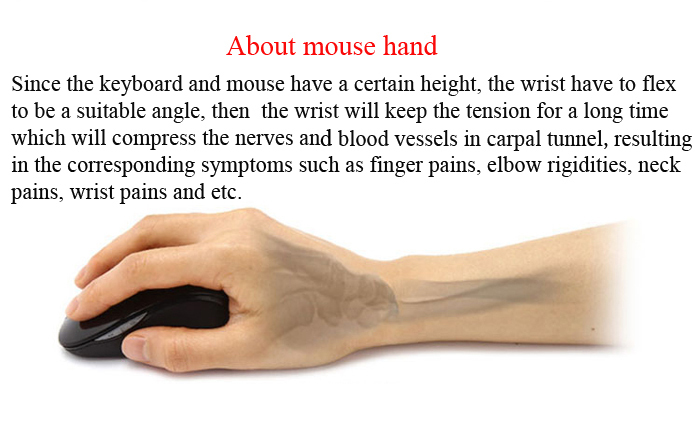 Ergonomic vertical design offers most natural holding posture. Embedded aggravating iron makes you never feel aethereal while playing games.